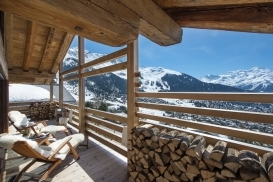 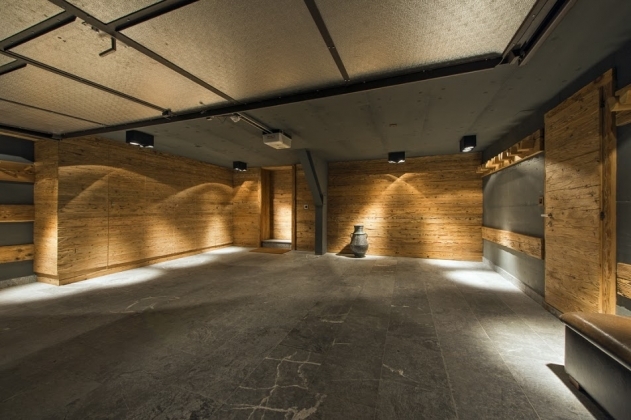 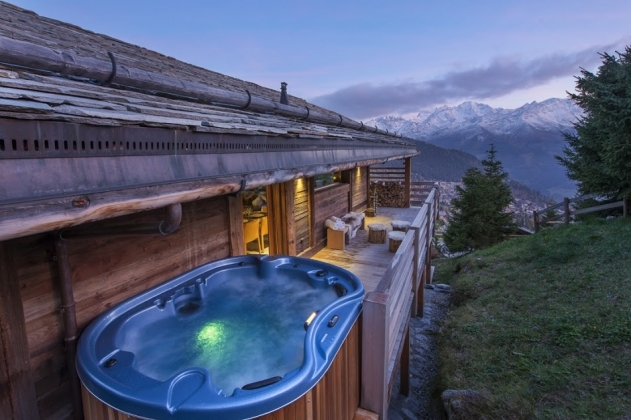 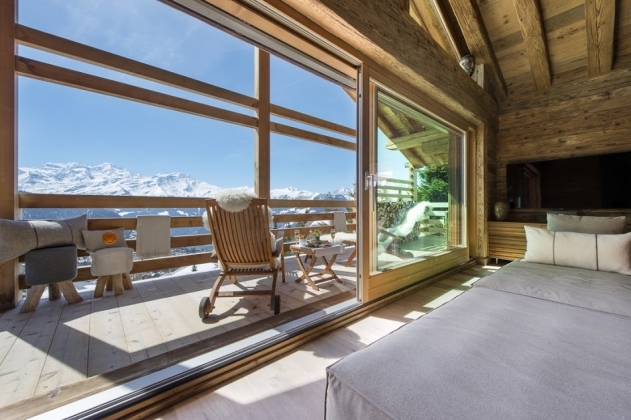 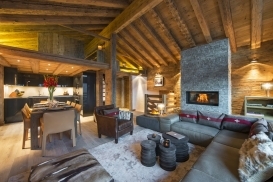 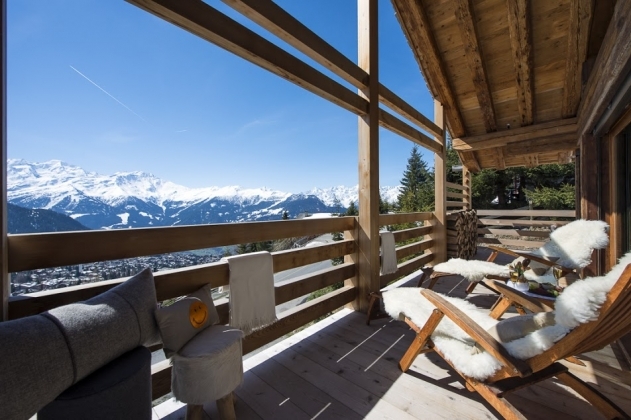 Located in the Sonalon area, nestling in the heights of Verbier, this chalet’s elevated position affords it breath-taking views of the surrounding mountains and the village below. 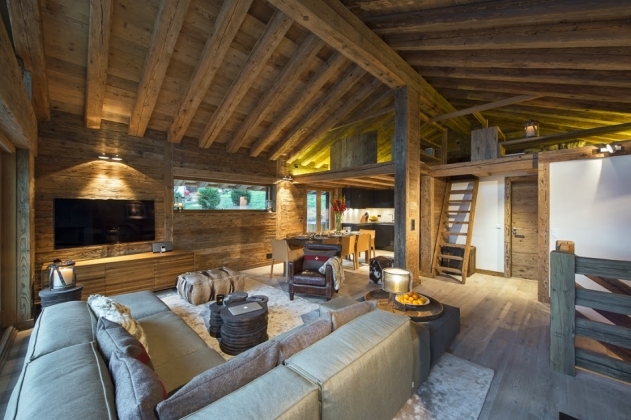 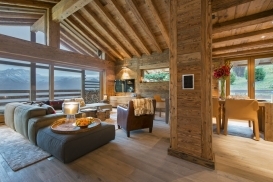 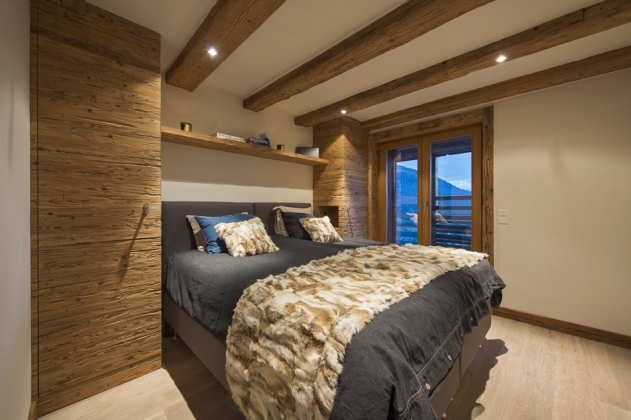 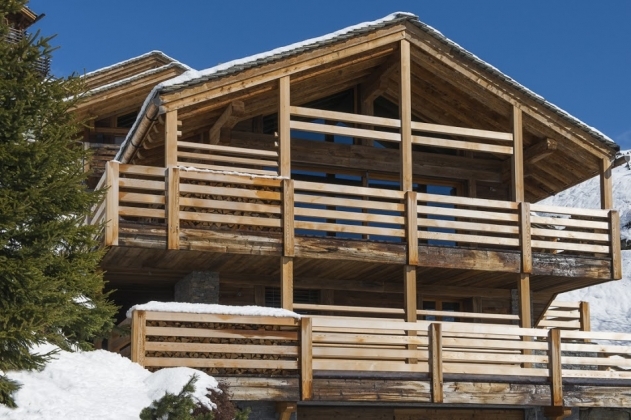 This stunning brand new luxury chalet is set out over three floors, sleeping eight guests in four bedrooms. 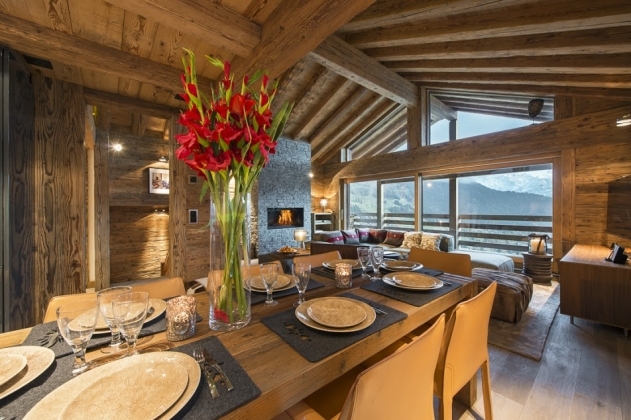 The wonderfully bright open plan living and dining area is the height of alpine chic. 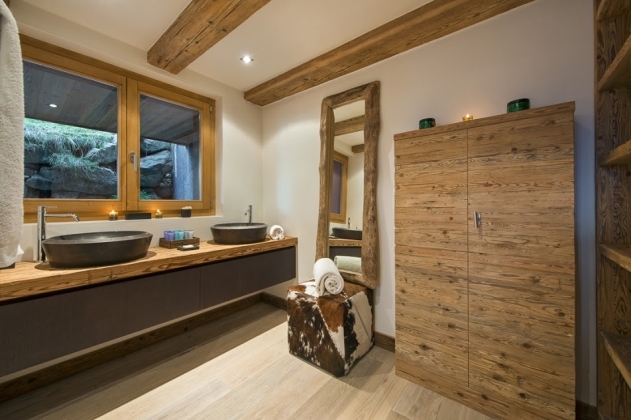 Old woods and natural stones have been successfully combined with contemporary Italian furnishings and Swiss detailing to beautiful effect. The modern open plan kitchen is well equipped to cater for the most sophisticated dinner party. Nilkantha is a true gem, lounge with your favourite tipple in front of a roaring fire or watch the sun set over the mountains from the outdoor hot tub. 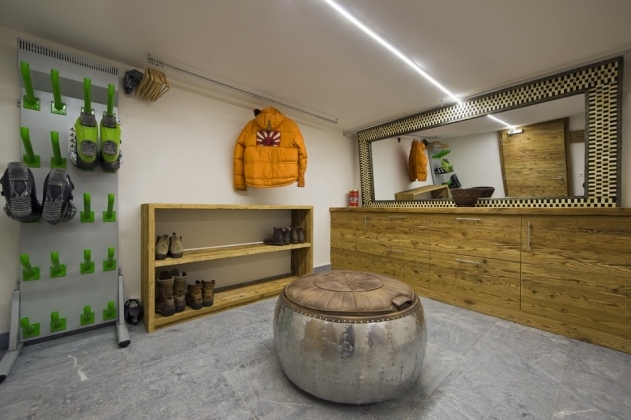 On the ground floor is located a garage, with parking for one vehicle (with a further three exterior parking spaces); a boot room, with boot heaters; and a laundry area. The first floor contains three of the four bedroms. 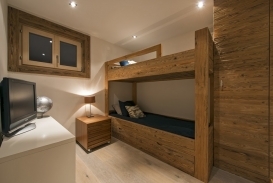 At the front of the property are located the master bedroom, with en-suite bathroom and separate toilet; a double bedroom (beds can be converted to twins); and a children’s bunk room, with wonderful handmade beds and skylight window (sleeping two). 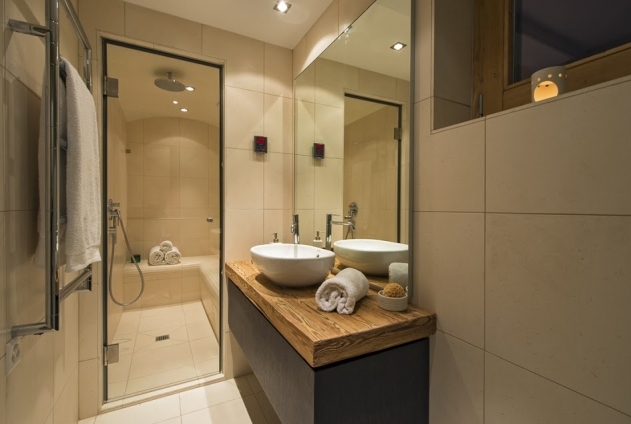 Two of these bedrooms share a shower room with a toilet (the shower room doubles as a Hammam). 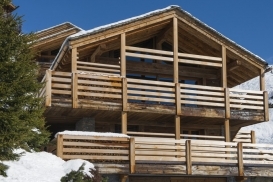 The front two bedrooms have access to the balcony. 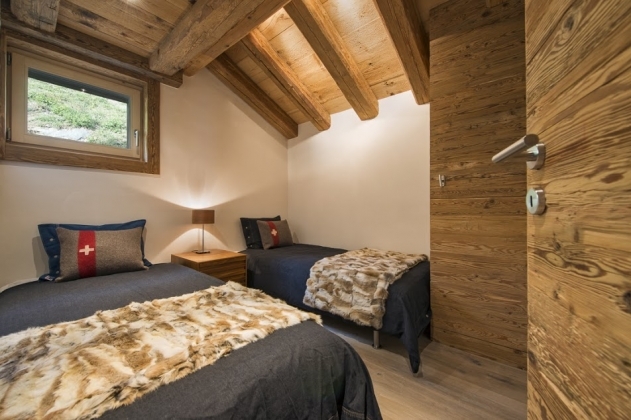 The open plan living/dining and kitchen are located on the second floor along with a further twin/double bedroom and separate shower room. 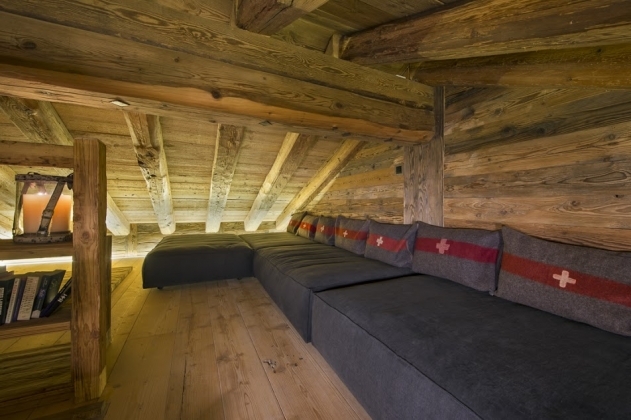 A large mezzanine area above the main living area has been set aside as a chill out space and TV room with low comfortable sofas.